While it’s common for students to have internships, most students only get to shadow doctors or scientists. 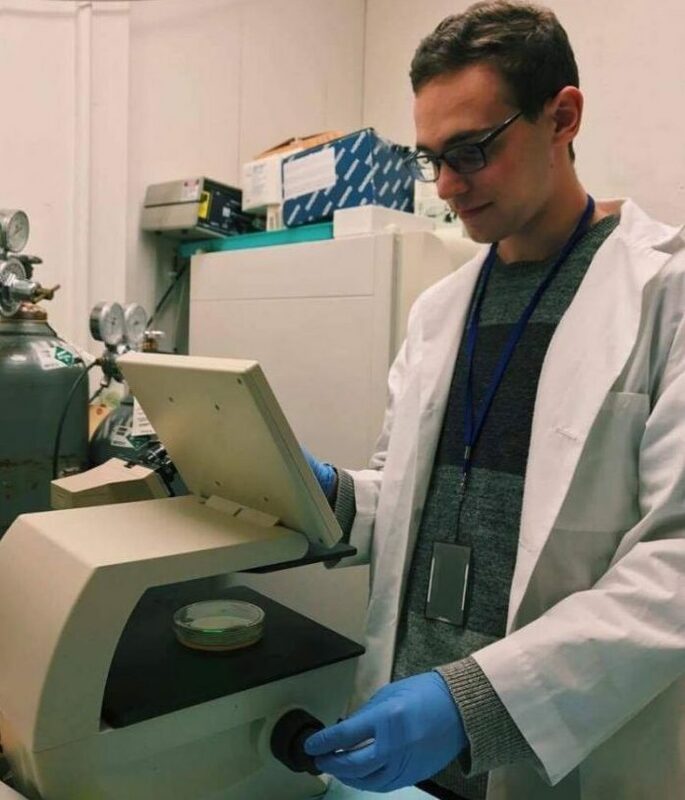 But, during his two-year internship in the National Cancer Institute at NIH, senior David Rekhtman completed a 16-page report on two ways to induce an immune response toward cancer cells. Rekhtman was recognized as a finalist Jan. 24 in the nationwide Regeneron Science Talent Search, formerly known as the Intel Science Talent Search. While 17,000 students initially applied, only 300 students made it to semifinals, which includes a $2,000 gift to the participant and an additional $2,000 to the student’s school. Rekhtman was announced as one of the 40 finalists, earning him at least an additional $25,000. “High school seniors are encouraged to turn in these research reports about anything STEM related,” Rekhtman said, regarding the requirements for the contest. Rekhtman’s report was different from other project applications because he focused on immunotherapy cancer research as opposed to computer technology, he said. The first method observed in the report was high tech and involved more complicated lab procedures, Rekhtman said. “There was a biomarker attached to the cancer cells and a certain laser shined on the cancer cells after the immune system attacked them,” Rekhtman said. It shows you can do really great things in public education. In contrast, the second way is more simple and only involves heat. He put the cancer cells in 60 degree temperature which targets and destroys them. But, he said the immune system attacked the cancer cells too. The 40 finalists will compete for the first place prize of $250,000 in D.C. this March. The week will include interviews, meetings and a presentation of projects to a panel of judges. After being notified that he was one of the 40 finalists, Rekhtman reflected on his work paying off. “I put a lot of effort into this internship, into this project, and it was a really great feeling to know that someone else appreciates it,” Rekhtman said. Hudock explained that unlike other students in the county from magnet schools who also made it to finals, Rekhtman completed a majority of the project on his own. Rekhtman emphasized that high schoolers should strongly consider participating in internships because students think in different ways than adults. Rekhtman hopes to continue his research in the medical field.